With physical disc sales dwindling and studios spending less and less on them, it might be easy for a movie collector to feel a little glum. And cash grabs like The Godfather Blu-ray Collection: Omerta Edition and Buffy the Vampire Slayer 25th Anniversary Edition—which add nothing at all from previous releases—might be making that same movie collector a little angry. And remember, you’re not alone: your movie friend Christopher Nolan still prefers Blu-ray over Netflix. 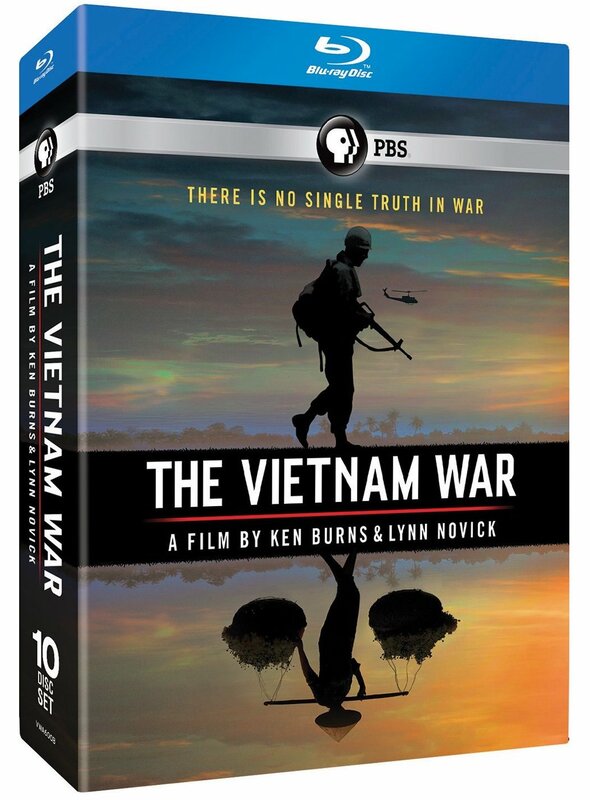 This 10-part, 18-hour documentary premiered on PBS in September and is spread out over 10 discs in 1.78:1 broadcast aspect ratio. Written by Geoffrey Ward, who also collaborated with Burns on his classic series The Civil War from 1990. Ken Burns, the premier documentarian of the past 30 years, is so ingrained in pop culture he has a zoom effect named after him. (You know what it is.) Plus, he’s been on The Simpsons three (!) times. Includes over 100 minutes of featurettes and deleted sequences. Shot with 4K, 5K and even 6K cameras. Yes, this will be one of those reference discs that you use to show off your home theater system to friends. Contains all 6 episodes on 3 discs, plus one bonus behind-the-scenes feature. Each episode is just under an hour. 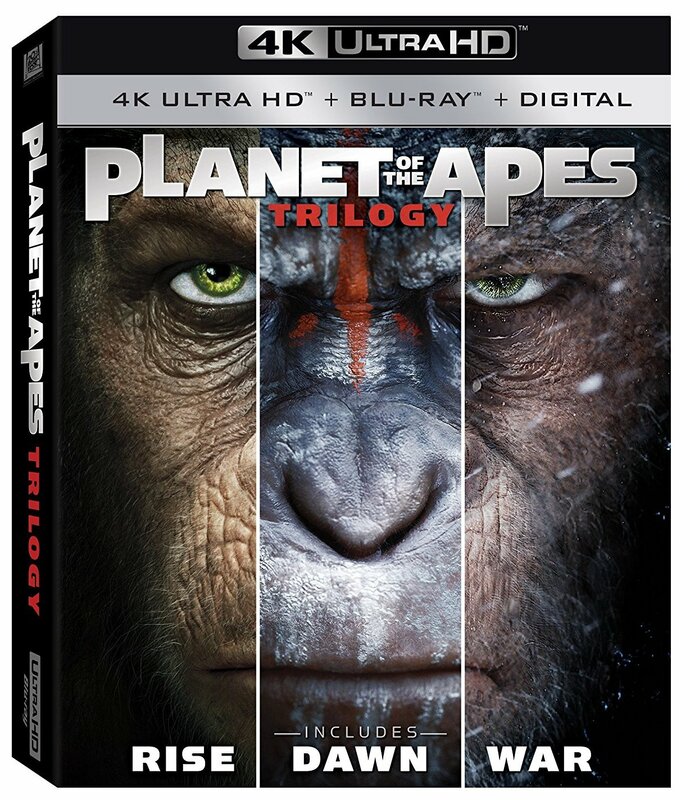 Boo-hiss, BBC: The 4K set does not include the standard Blu-ray and/or digital copy. They are separate purchases (Blu-ray / Digital HD). 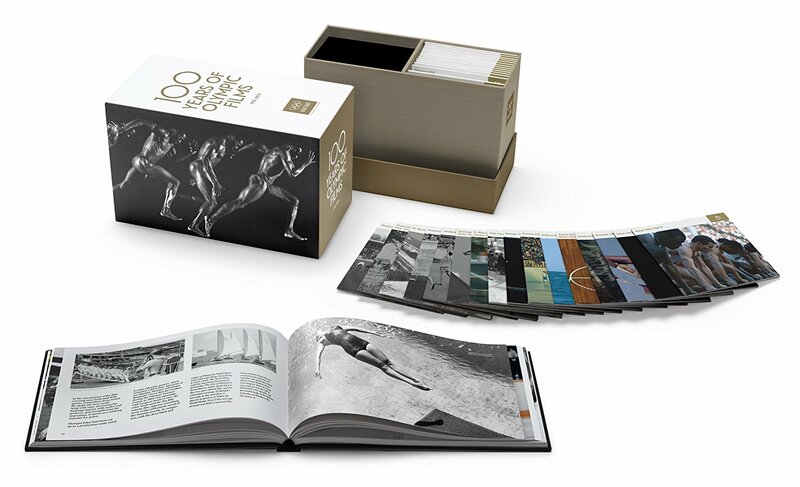 December release contains 53 movies from 41 editions of the Olympic Games, including a 4K restoration of the notorious Leni Riefenstahl’s Olympia, among others. In addition to the 32 Blu-ray discs, there’s a fancy 216-page hardcover book (yes, a coffee table book). The silent films have new scores composed by Maud Nelissen, Donald Sosin, and Frido ter Beek. Director/producer Bud Greenspan made ten (!) 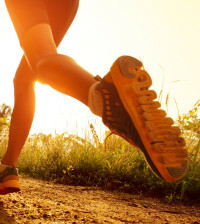 Olympic features from the 1984 L.A. Summer Olympics to the 2010 Vancouver Winter Olympics. Andy Serkis outdoes his mo-cap Gollum with an Oscar-worthy turn as Caesar, the super-smart, genetically modified chimp. War for the Planet of the Apes, shot on the large-format 6K resolution ARRI Alexa 65, gets a brilliant showcase on 4K Blu-ray, although all 3 4K discs are sourced from 2K digital intermediates (DI’s). 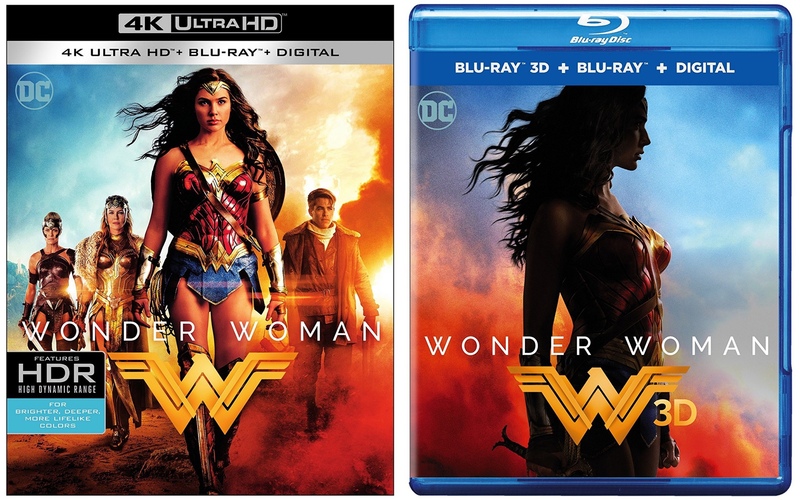 This 6-disc collection has all 3 movies (“Rise,” “Dawn” and “War”) and includes the standard 1080p Blu-rays and Digital HD copies. Does not include DVD. In 2017, the Harry Potter series received the 4K treatment with HDR enhancements, and the results are fantastic, considering Warner Bros. sourced 2K digital intermediates. Still, you’re saving a good chunk of money buying the whole set together, since each movie is around $25 to $30 separately. 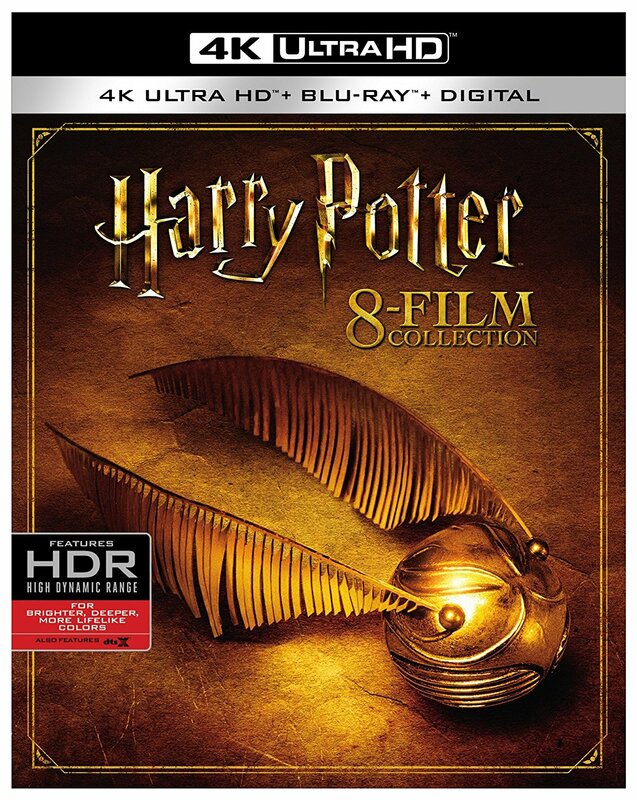 A pity: If the Potter fan in your life already has one of the Blu-ray box sets, this isn’t a must-have. The 4K disc is gorgeous despite being sourced from a 2K digital intermediate. It includes a 1080p Blu-ray with some modest bonus features and deleted scenes and Digital HD copy. Boo-hiss, Warner Bros.: If you want the stunning Blu-ray 3D version, you have to buy a separate release, which is also bundled with that same 1080p Blu-ray with bonus features and Digital HD copy. The immersive, reference-quality Dolby Atmos mix takes advantage of all the modern audio gimmicks to make your home theater rumble. Ironically, the well-received Wonder Woman has grossed over $800 million worldwide, but still less than the more-hated Batman v. Superman. Old-school Christopher Reeve Superman is still the best Superman, and the beefed-up version of his 1978 debut gets a long-awaited Blu-ray release. This is the 188-minute extended cut that first aired on TV as a two-parter over two nights in 1982. Includes the 151-minute Special Edition that first appeared in 2005. Spielberg vs. Nolan in 4K: Fight! Christopher Nolan, often considered the greatest director of his generation (Gen X), has a handful of his best works getting the 4K treatment in December. Noted film enthusiast Nolan is personally involved with the 4K restorations, so they’re sure to be top-notch—and everything is being sourced from 4K digital intermediates. The Batman movies will also be available as individual 4K releases. 70% of Dunkirk was shot on IMAX film, and Nolan is particularly excited about 4K HDR doing it justice. 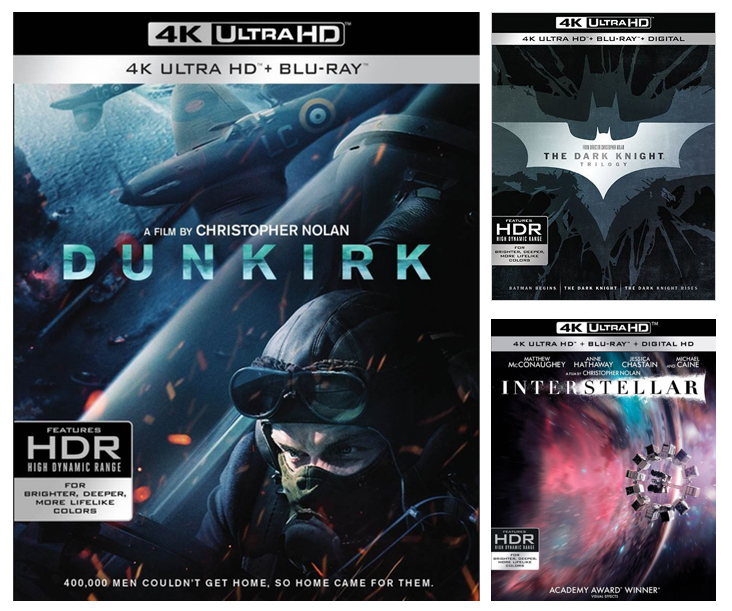 Update: The 21-disc Christopher Nolan Collection in 4K will also be available in December for a cool $150. It will have The Dark Knight Trilogy, Dunkirk and Interstellar plus Inception and The Prestige. Steven Spielberg, often considered the greatest director of his generation (Baby Boomers), personally reviewed the 4K restorations of Close Encounters and E.T. 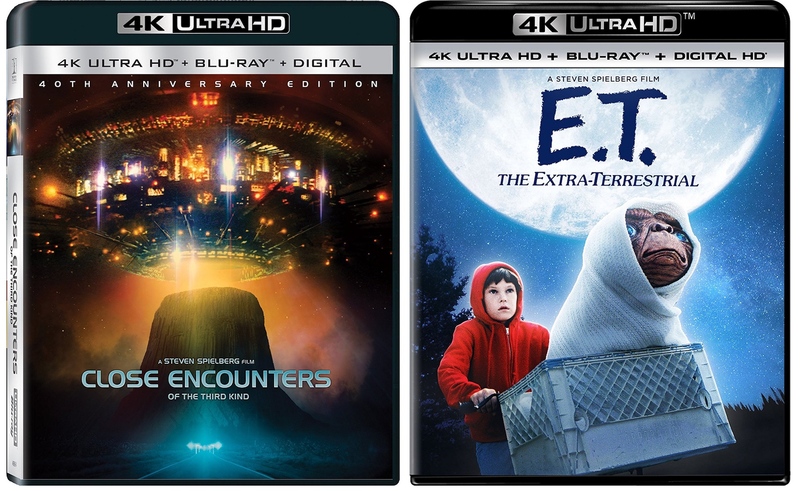 The new 4K Close Encounters is available in a standard 3-disc set and a limited edition gift set. Each set contains restored versions of the 1977 original theatrical release, 1980 special edition and 1997 director’s cut. 4K E.T. is available in a 2-disc combo pack with 1080p Blu-ray and Digital HD copy and over 3 hours of bonus features and a 2-disc limited edition set that also includes the soundtrack and a behind-the-scenes book. Bonus: E.T. gets a DTS:X immersive audio mix. 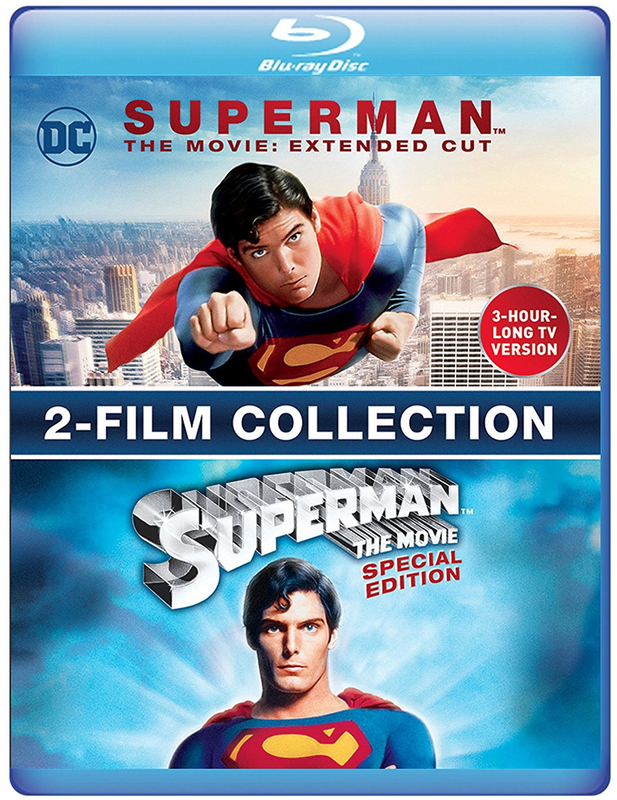 These two remasters are “real 4K” because the original 35mm/70mm film negatives were scanned in 4K. 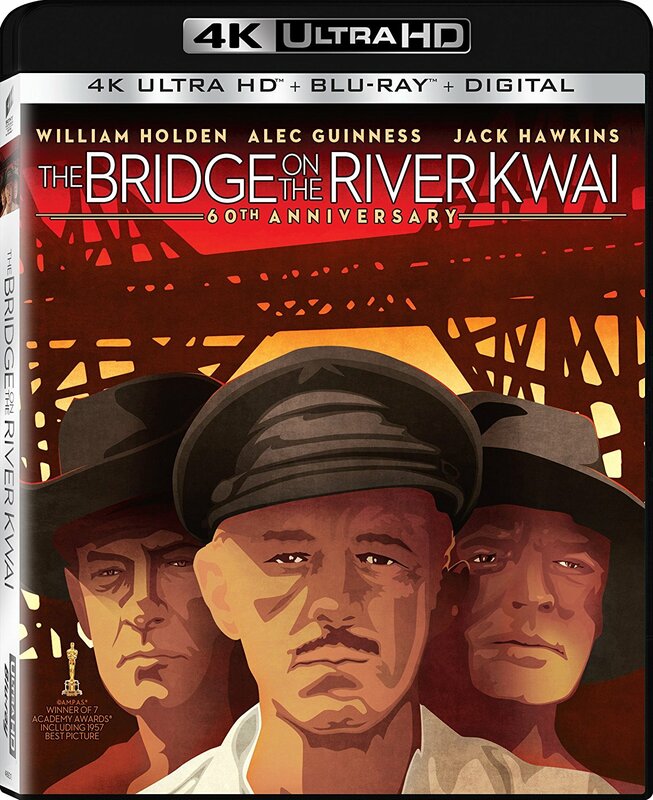 The 60th Anniversary edition of David Lean’s Academy Award-winning masterpiece gets a full-on HDR-enhanced 4K restoration. 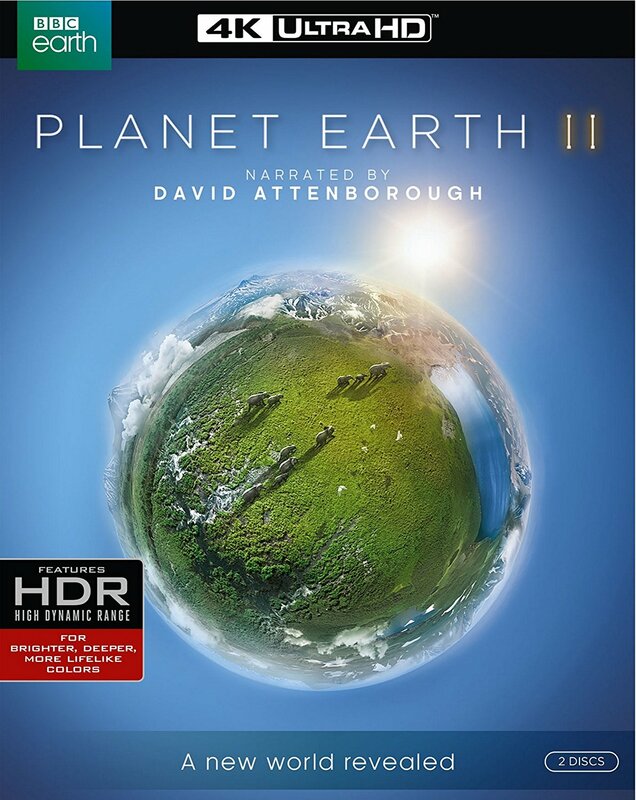 Includes a modern Dolby Atmos mix. Same bonus features as the 2011 Blu-ray edition. Winner of 7 Academy Awards including Best Picture, Kwai stands the test of time, looking the best it’s ever looked on home video. Obi-Wan Kenobi’s masterful performance won him the Best Actor Oscar. This 1080p Blu-ray comes from a new 4K digital restoration overseen by Walt Disney Studios and sourced from the original 35mm camera negatives. Alfred Hitchcock’s first Hollywood picture was produced by David O. Selznick (Gone with the Wind) and netted a Best Picture Oscar. Two-disc set includes 2007 making-of doc, plus film historian commentaries and cast and crew interviews, including Hitchcock. 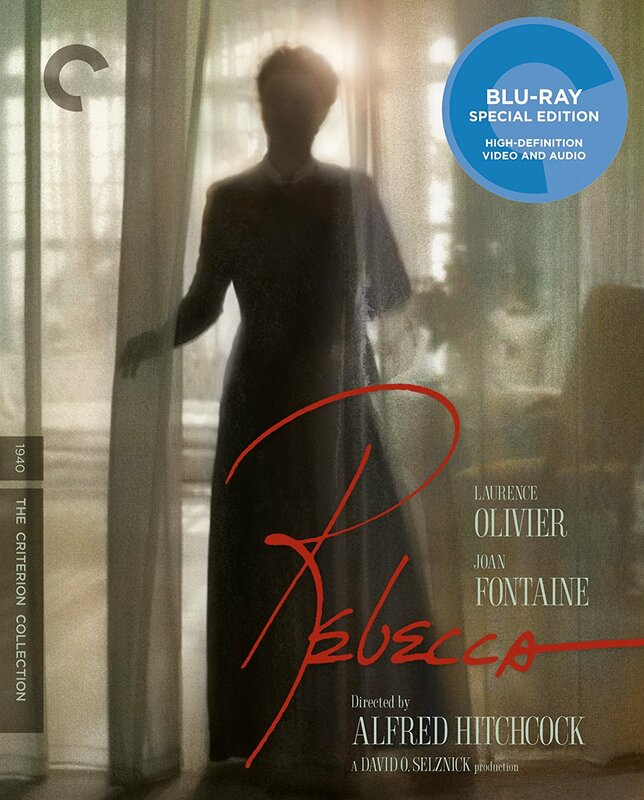 Criterion doing what it does best: Rebecca has never looked better on home video. You’ll be surprised how good these old ’60s and ’70s cartoons look, taken from Technicolor’s 4K scans of the original 35mm archives. Watch it in the original 4:3 broadcast aspect ratio to get the full resolution. 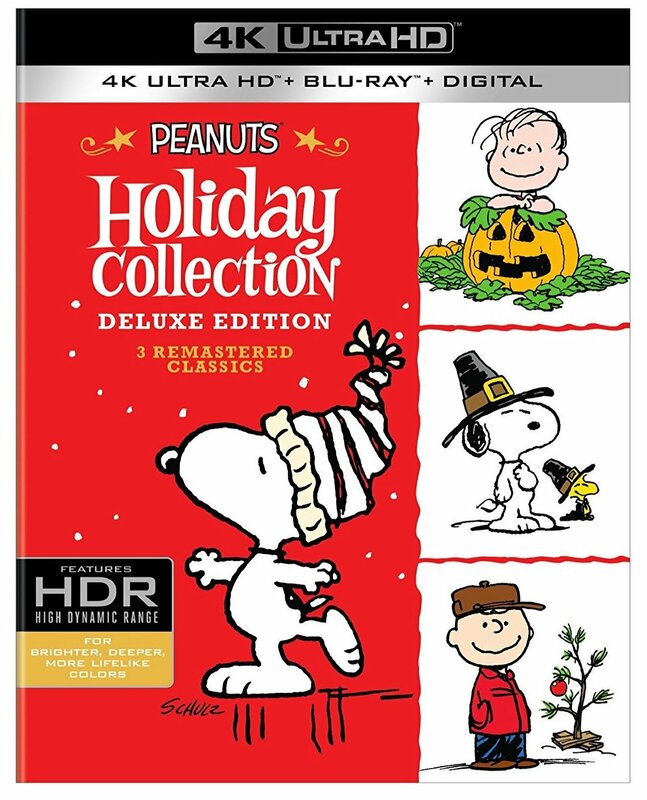 Contains 9 holiday episodes in 4K HDR, including the classics—Charlie Brown Christmas (1965), It’s the Great Pumpkin, Charlie Brown (1966) and Charlie Brown Thanksgiving (1973)—as well as lesser known oddities like It’s a Flashbeagle, Charlie Brown (1984). The 6-disc set also includes standard 1080p Blu-rays with Digital HD copies. 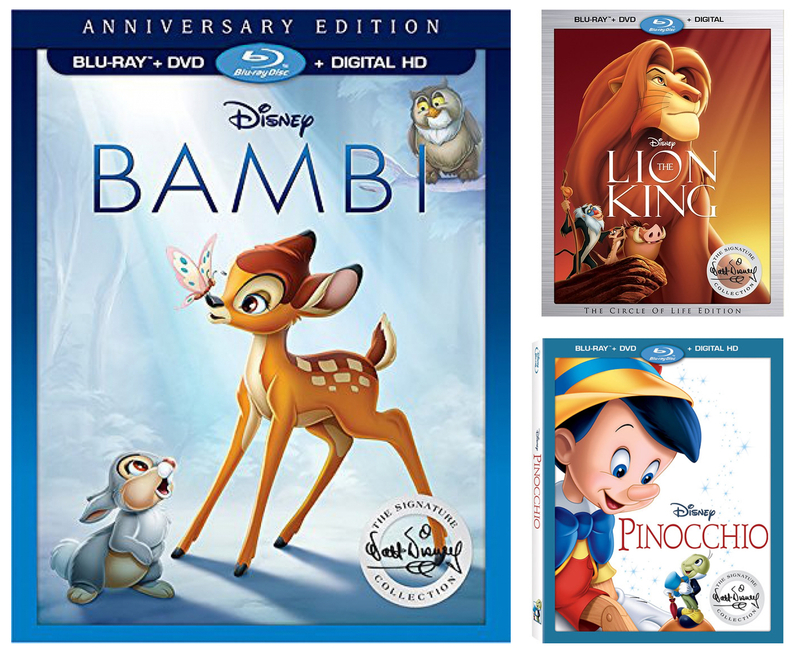 In 2017, Disney’s Signature Collection released 3 more beloved Disney movies that have been on Blu-ray before but now include digital HD copies for the first time. (These two-disc combo packs also include DVD.) Snow White and Beauty and the Beast were released last year. The Pinocchio Blu-ray transfer is the same as the 2009 Platinum Edition but includes about 20 minutes of new bonus features as well as a Sing Along Edition. The 75th Anniversary edition of Bambi has a Blu-ray transfer that’s nearly the same as the 2011 edition except with the original RKO title card restored. You also get about 30 minutes of new bonus features. The Lion King Blu-ray transfer is mostly identical to its 2011 Diamond Edition release but with a couple restored effects and about 40 minutes of additional new bonus features. I would suggest NOT getting the Harry Potter set because everything I have read states these are NOT the extended editions (ultimate editions) of the films! Only reason I can see for WB releasing this set is to release an extended edition set later on and make people pay more money…grrrrrrrrr. My opinions of course so take it or leave it. The reason to buy the ‘shiny disks’ is not so much for the ‘extras’, but because they are of MUCH higher quality (encoded at a FAR higher bit rate, and ten bit with wider color space) than *anything* you could possibly stream. 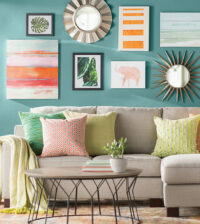 The bigger the set you’re watching on, the more relevant that is. 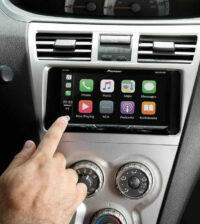 For phones and tablets, it’s meaningless. But if you’re watching on a 65″ OLED screen, or any set bigger than about 40″, the difference in quality between crappy streaming and a UHD (or even HD) BluRay is astonishing. Hi Doug, very true. Thanks for dropping by!